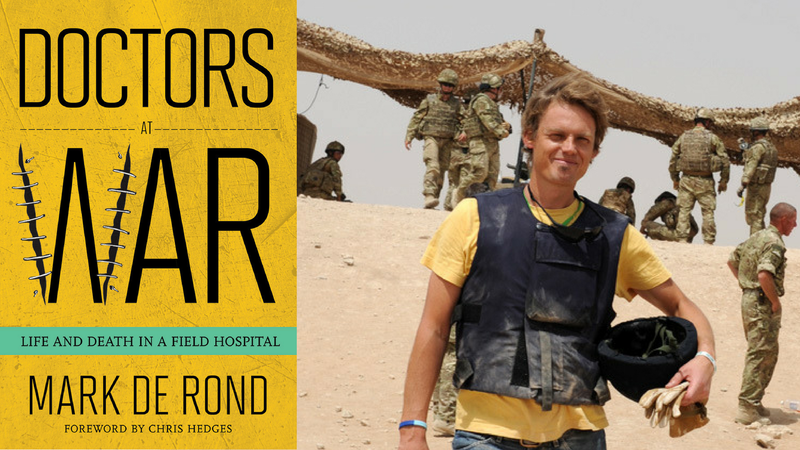 We weren’t supposed to read Mark de Rond’s new book Doctors at War. A high-ranking medical officer in the British Ministry of Defense insisted de Rond write this book, and do so without fear of censorship. However, upon its completion, the ministry told de Rond it would oppose the book due to his exceptionally candid and true-to-life account of a trauma surgical team at work in the “world’s bloodiest” field hospital, Camp Bastion, in Afghanistan. Despite such pressure, Mark de Rond has chosen to publish the book. Doctors at War tells of the highs and lows of surgical life in hard-hitting detail, bringing to life a morally ambiguous world in which good people face impossible choices, and in which routines designed to normalize experience have the unintended effect of highlighting war’s absurdity. Mark de Rond, a professor of organizational ethnography at Cambridge University, lifts the cover on a world rarely ever seen, let alone written about, and helps rebalance popular and overly heroic, adrenaline packed tales of what it is like to go to war. Here the crude and visceral coexist with the tender and affectionate, as do pleasure and guilt, kindness and cruelty, courage and cowardice, and the profound and pointless. In sum, it provides a unique insight into the lived experience of war from the point of view of good people forced to make difficult choices in an absurd environment. Purchase Doctors at War today on our website and receive a special 30% discount. Use promo code 09CAU6.